Successfully saved Crazy Good Quick Garlic Noodles to your Calendar. You can also save the ingredients to your Grocery List. Learn how to make THE BEST quick garlic noodles. 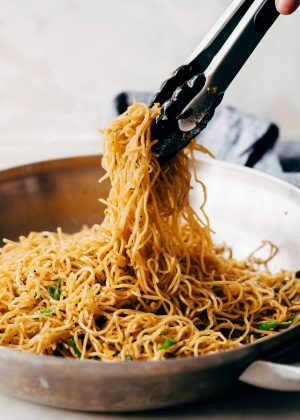 There are a few unusual ingredients here, but trust me, these are the best garlic noodles you’ll ever have!